Have you been searching for a Calgary Handyman Special property? Can't quite find that "DIAMOND IN THE ROUGH"? then this search is for you! 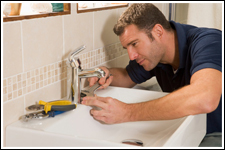 If you're willing to invest a little elbow grease, a handyman special can lead the way to build instant equity for you and your family. Some of these properties just need a little cleaning, some need cosmetic upgrades and some may need major structural repair.